Home » Totems » Bear Totem – Do You Have To Fear Bears? Bear Totem – Do You Have To Fear Bears? Bear Animal Totem – What Does It Really Mean? The Bear Spirit Guide has a strong connection with the earth. It spends the deep winter in hibernation, traveling the dream-realms through the long nights of winter. Read on to know more about the bear totem. The Bear animal totem is an undisputed master of its territory. Moving with strong silent conviction around it. Bears travel through the realm of sleep to bring about the deep wisdom their eyes hold. Uniquely, with the Bear in your life, it will bring the gift of wisdom to you. Honey-like delight, deep meditation in hibernation, strength and ferocity, powerful protection. Bear is the mark of dream-time and the power of the vision quest. 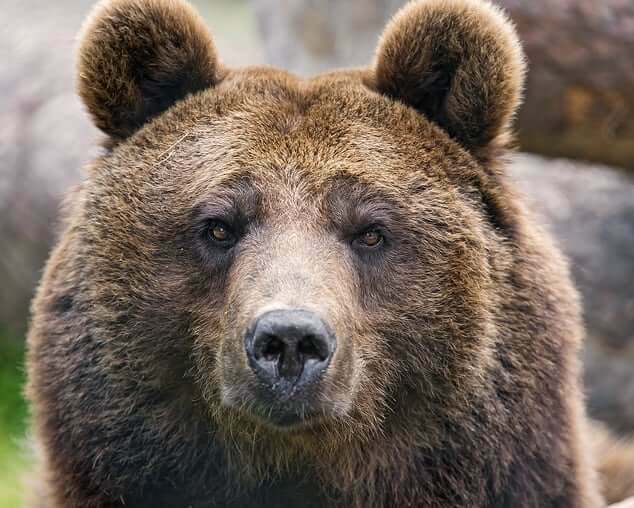 What Does Bear Spirit Animal Personality Say? The Bear is the defender of the woods and is the profound keeper of boundaries. When one walks with the Bear, one walks in the presence of a great Spiritual leader of its demesne. Bear does not take lightly to those who wander in unannounced. Also, it will make its thoughts and intentions known by roaring its challenge to all those who oppose it. But if we are respectful, the Bear totem animal will guide us into the dark of the dream realm. We will walk through our vision-quest with it as a guardian angel and protector. No one willingly messes with Bear. To those who travel with her, she holds close to them as her cubs. She will protect them with all her ferocity and might. The Bear totem meaning ties to resurrection and introspection. After all, they spend most of the winter in a sleep state, a near death. In your time of need, you gain this power. Equally, when it’s time for you to go through rebirth, Bear symbol may guide you through and out of it. Furthermore, there is the opportunity to look within quietly. Part of Bear’s secrets is the enjoyment of life’s bare necessities. Bear does not travel quickly, for in Bear’s wisdom there is no need to rush. What Does Bear Spirit Animal Mean? All things come in their own good time. Therefore, there are many pleasures along the way to enjoy. A bit of honey here, a handful of berries there. It is part of their wisdom to enjoy our walk through life. Accordingly, if Bear is your Totem Animal, then you are a recognized leader of great strength. Others will turn to you to look for your quiet wisdom. They see you as having a great deal of confidence in yourself. Consequently, they will feel safe with you when life becomes difficult. Thus, your home may become a den they retreat to in times of trouble. Certainly, this may manifest in those around you, especially those younger than you, looking to you for protection and safety. They may know that in your presence, they will be safe. And so you may become a ‘Mama’ or ‘Papa Bear’ to them. In a word, others might consider you a parental or a protective figure. Well, if you haven’t already found your spirit animal, it may be time for you to look within. Afterward, keep in touch with the Spirits that choose to guide you. Previous Angel Number 99 – What Do You Need To Fear? Find Out! Next Butterfly Totem – Does It Mean Change? Find Out! Peacock Totem – What Does It Symbolize? Panther Totem – How Courageous Are You? Fox Totem – Symbol Of Luck and Charm! Hummingbird Totem – Is It A Good Omen? Horse Totem – What Does It Symbolize Spiritually?